Keith was born in London and moved to New York in 1975, where he worked in a series of restaurant jobs from oyster shucker to busboy to general layabout. In 1980 he opened his first restaurant, The Odeon. Since then he’s opened Café Luxembourg, Nell’s, Lucky Strike, Pravda, Balthazar, Pastis, Schiller’s, Morandi, Minetta Tavern, Cherche Midi and Augustine, as well as Balthazar in London. He’s written and directed two feature films, End of the Night and Far From Berlin. In 2010 he was mistakenly given the James Beard award for outstanding U.S. Restaurateur. Milan-born Gabriele Carpentieri began his culinary pursuit when he was a child visiting his grandfather’s olive farm. His classic European training began at Amerigo Vespucci and was honed at Michelin-starred establishments including Milan’s famed vegetarian restaurant Joia, and in London at both The Square and The Chancery. In 2011, he moved to the U.S. and joined the team at Portland’s classic Italian restaurant, Mucca Osteria, where he created seasonal menus during the rise of farm-to-table dining. In 2013, Carpentieri came to New York City’s Aureole by Charlie Palmer as a sous chef and worked his way up to lead the kitchen as executive chef. His new menus at Aureole celebrated his transAtlantic training with housemade pastas, fresh seafood dishes, and other cross-cultural specialties that speak to the restaurant’s progressive American approach. 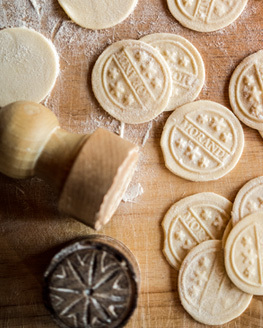 In 2018, Carpentieri became the executive chef at Keith McNally’s West Village Italian trattoria, Morandi, where he blends modern techniques with a seasonal approach.